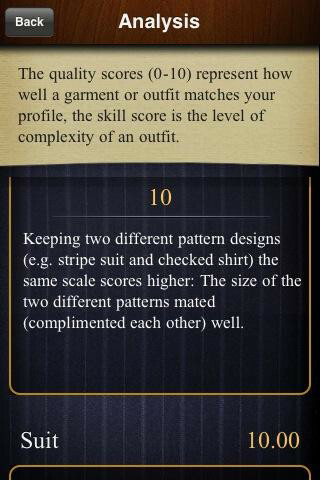 Here’s one that’s bound to become the go-to app for men (and women) of all fashion calibers. Imagine having a personal stylist by your side at any given time? Well this is what the BeSpeak Personal Stylist app is. It’s specifically tailored to the fashions of men. However, men need not only download this very useful app. Women can easily find comfort in BeSpeak by also entering her loved one’s info and creating a profile that will help put together any type of outfit. Wear the ultimate mantle of all: confidence! – Create a personal profile based on hair color, skin tone, eye color, face shape, body shape and size. – Get profile-driven outfit recommendations. reload, lock another, etc. until you really love the whole outfit. – Instantly evaluate new outfits on the go. – Coordinate clothes from your wardrobe. – Input a loved one’s profile and take the guesswork out of gift giving. – Build the ultimate closet by storing profile-perfect clothes. – Develop dressing style skills. 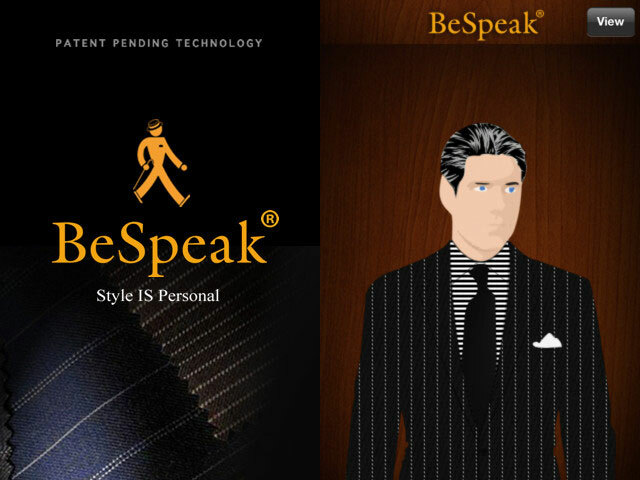 BeSpeak® provides guidance for men’s business dressing style (suit, dress shirt, tie, and pocket square). Dressing well is easier than you probably think. The difference between looking presentable and looking incredible lies in having a style personalized for you and you alone. And that’s exactly what the BeSpeak app does – it provides personal recommendations and fashion evaluations based on your unique physical characteristics. It’s like having the ultimate personal stylist at your fingertips. 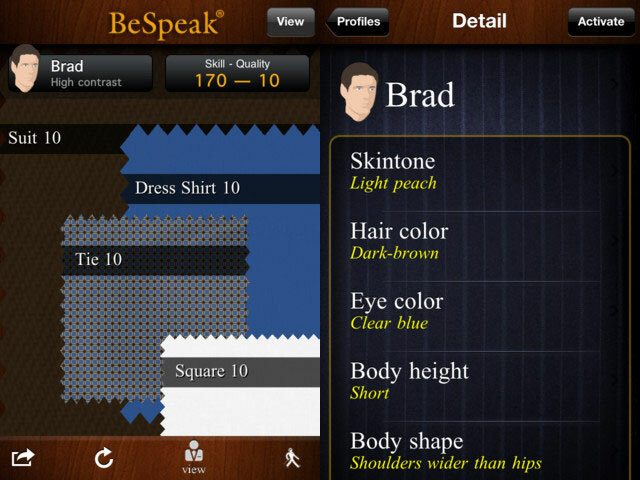 Pick up the BeSpeak Personal Stylist App at the Apple Store.